Lawn Care in Herndon, VA is easy… for the pros. 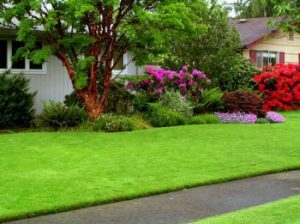 We at Green Hill Landscaping are passionate about lawn maintenance and it is this reason that has been driving us to bring our clients all over the Great Falls area the best possible services in this field. Instead of working with several contractors (one for lawn mowing, another one for weed control & fertilization, and a third for irrigation service), we provide the full range of services and treatments to our clients. Not only this, but we own a full fleet of trucks, the best equipment in our field, and the strongest possible guarantee you could receive for lawn care. As past clients will tell you – and we encourage you to ask for recommendations from your fellow inhabitants in Herndon, VA – we offer a satisfaction guarantee to clients who are not entirely happy with the services we have provided them. We will return and fix any and all mistakes that may have come up in our work until you are thoroughly satisfied. That’s how dedicated we are to our clients’ happiness! Many of our clients dream of owning a beautiful garden, where they can relax with their loved ones – a garden they can truly call the envy of the neighborhood. That’s why we offer bi-annual Flower Planting services, which include cultivation, fertilization, drainage, weed control, and irrigation. We can handle your irrigation installation demands, or come in two to three times per week to water your beautiful flowers. Our Flower bed maintenance services also include the use of substances which will keep pests and fungi away, without harming your pets or family, but simply helping your flowers thrive. Additionally, our offer for occasional landscaping services also includes the Spring & Fall leaf clean up. If your lawn and garden are suffocating underneath a layer of dead leaves and other debris, trust Green Hill Landscaping to come in, clean up, and dispose of all the refuse for you. We guarantee you will not recognize your lawn by the time our trained technicians are done with it! If you’re in the market for overseeding, aeration, or any other lawn care services in Herndon, VA, don’t hesitate to contact us at a time of your preference. You can either call us, or write to us, via our free estimate form. We will get back to you in the shortest time possible, then offer a free estimate, as a welcome to our ever-growing roster of clients. 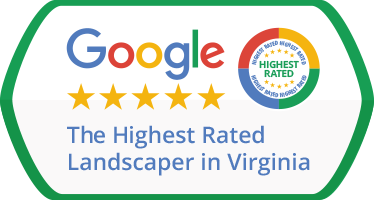 Green Hill Landscaping is active both in the private residential, as well as in the commercial segment of the lawn care industry, and in the years we have been in business, we have managed to grow into one of the best known companies in the field, in the Herndon area. See for yourself – give us a call right now!